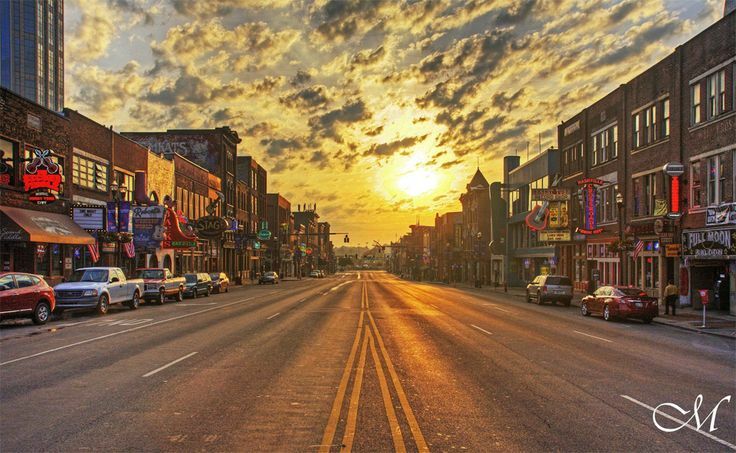 Remnants of Old Nashville remain in lots of ways, though, from our enduring sense of hospitality to one of our favorite kinds of throwback: the iconic, retro signs you’ll see scattered throughout town, still standing after decades of their aesthetics going out of style and back in again. If you’re a fan of historic design and decor, you might love these signs as much as we do, and you’re probably already thinking of your favorites. They’re as much time capsules of their eras as they are glowing reminders of endurance. So for a lot of us, historic signs around Nashville aren’t just welcoming us to donuts or wine, they’re letting us travel through time for just a second. And helping us remember that even while everything seems to be changing, we have strong Nashville anchors that’ll hopefully stick around for many decades to come. 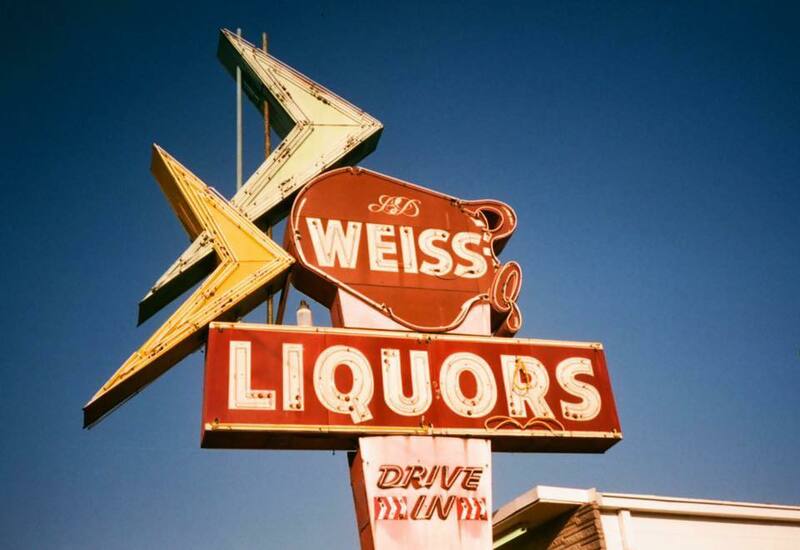 In Historic Edgefield, Weiss Liquors is an unassuming, low-key place to grab a bottle, and its huge neon sign (probably from the ‘50s, around 20 years after the place opened) has welcomed people to East Nashville through so many of its twists and turns, up through the renaissance that’s still going today. 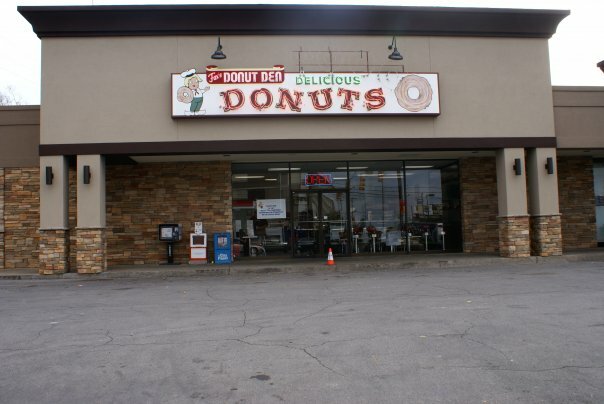 When most longtime Nashvillians think of Green Hills, they don’t think of the mall, they think of Donut Den and its blinking, neon, hungry-Dutch-boy sign. 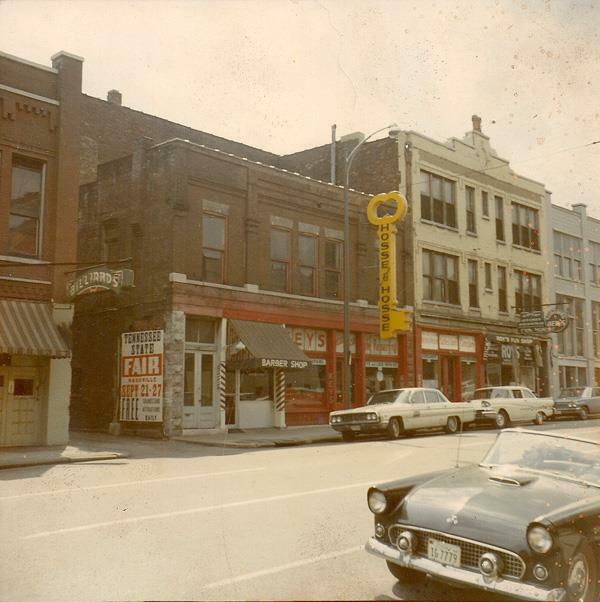 The shop opened in 1977, and that same year, owner Dr. Norman Fox bought the sign from a shop in Memphis and brought it back here to Nashville. Nowadays, it’s almost as beloved as the donuts, and that’s no exaggeration. In 2009, the sign — then believed to be about 50 years old — was taken down in the middle of a shopping-center renovation, and locals absolutely lost it. The outcry was heard, and the sign was freshened up and returned to its proud place. 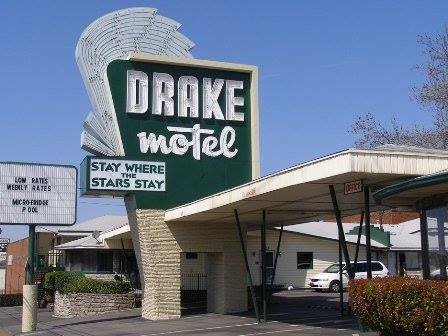 When driving down otherwise unassuming Murfreesboro Road, one of the only things that really catches your eye is the 40-foot-tall Drake Motel sign, proclaiming that you can “stay where the stars stay.” Doubtful that any Nashville stars are staying at the low-key inn these days, but the sign is still a Nashville landmark, tracing back to the late ‘50s. 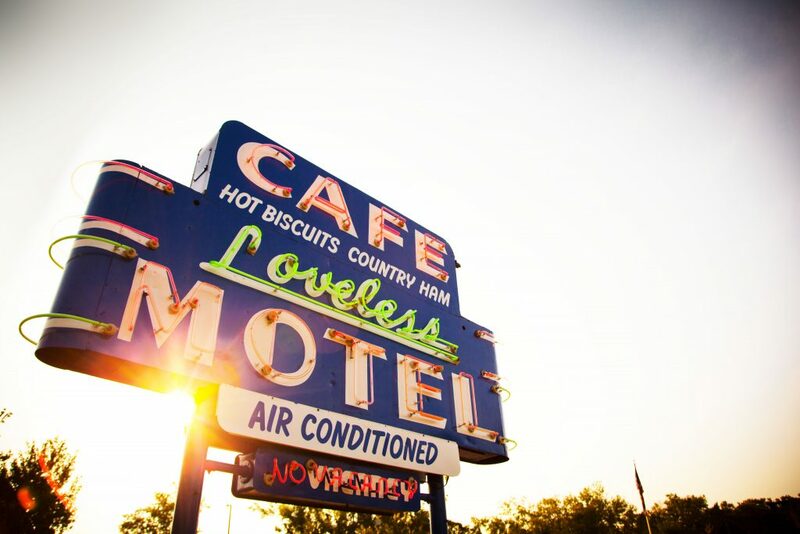 The famed biscuit makers at the Loveless haven’t run a motel for years, but the iconic sign that welcomes you in to the Southern-food staple calls back to its early years in the ‘50s, when owners Lon and Annie Loveless created a cozy place to eat and stay. Today, the food is still delicious, but the motel rooms are set up for shopping. 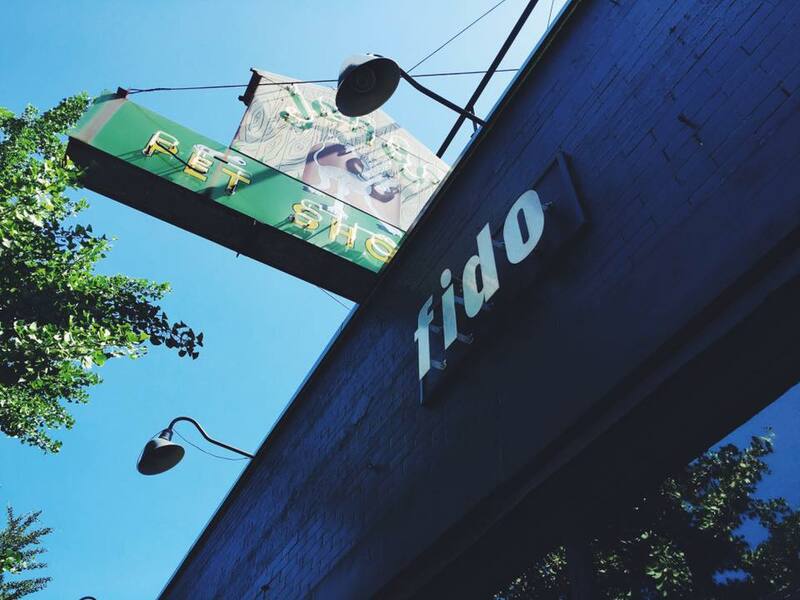 If you’re inviting someone who’s new to Nashville to meet you at Fido in Hillsboro Village, you invariably tell them to look for the unmistakable Jones Pet Shop sign, an awesome relic from the building’s previous life. The Pet Shop was there for decades, tracing back to the ’50s, and although these days well-loved restaurant/coffee shop Fido calls that address home, they smartly kept the signage there as a call-back. Few buildings feel as quintessentially Nashville as the one that’s housed the Elliston Place Soda Shop for more than 75 years. 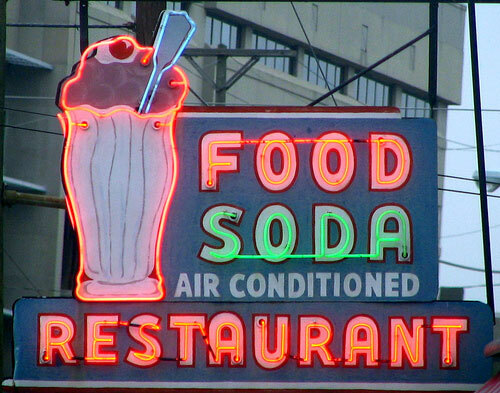 It still looks like an old-school lunch counter, and the neon sign out front that welcomes you in tips to that retro charm. Cool side sight: the tile sign by the entryway door, which traces back to the space’s former life as Ellison Pharmacy (in the 1920s). 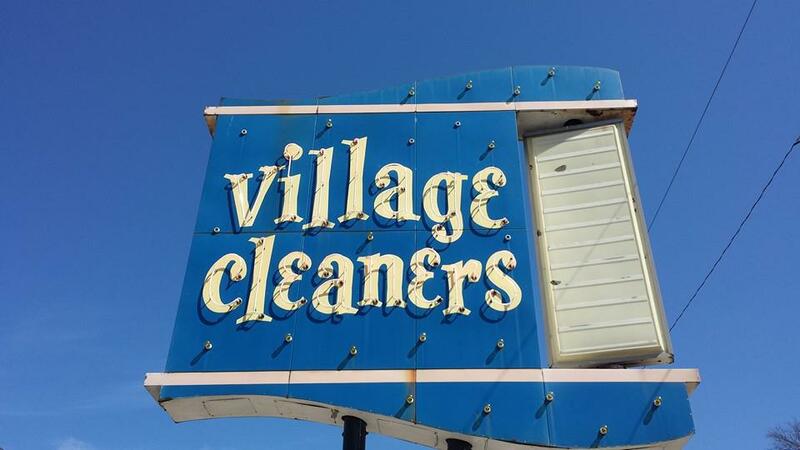 It’s not just their long-held experience with getting out stains that gets people to head from all over town to Hillsboro Village’s Village Cleaners. The business opened in 1948, and out front, their signage is a piece of retro art (not sure if it was erected when they first opened — the typeface looks more 1960s/I Dream of Jeannie). The place had a scare in 2015, when part of the front wall came tumbling down, but the building was repaired and rehabbed, and the sign still stands. Good thing — locals would probably riot if it was ever removed; it’s so beloved, local artists have even captured it with paint. Do you have some retro Nashville signs you’d add? New/old favorites welcome. Any of these retro-sign landmarks sitting in the neighborhood you’re hoping to call home? If you’re looking to buy a home in Nashville, we’d love to help. Reach out, and tell us about your wish list!